Running on the street is fine for most of the events that the Everybody’s Hungry Racing Team gets involved with, but every now and then you gotta get off the beaten path. To accomplish that, a couple members decided to follow in the footsteps of the many warriors and Spartans before them. Fade into scene at the Spartan Sprint – Malibu. The weekend conditions were less than desired, as a good rain passed through the area the Friday before the event. Added variables beyond the course obstacles consisted of saturated and muddy paths, along with low 40s temperatures. At the finish of the “pump you up” speech, toss of the smoke and “go go go”, the 2 o’clock heat took off. The group charged an immediate uphill climb and came face to face with the glorious prizes of a cargo wall and monkey bars at the top. Participants continued to wind through the hills of Calamigos Ranch, facing many more obstacles, including a couple of full body water obstacles that shocked the body and inspired quick exits. 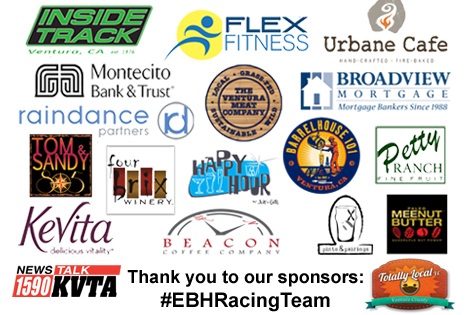 Gallery | This entry was posted in EBH Racing and tagged 2013 Running, EBH Racing Team, Obstacles, Running, Spartan Race. Bookmark the permalink.